Over 18 years ago, I bought one of the first sewing/embroidery machines. 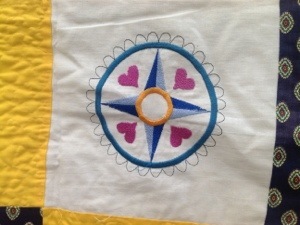 It was a Bernina Artista 180. I have to say, this beautiful machine works today, just as it had the day I purchased it. Initially, I would personalize every item I could get my hands on because working with font is pretty easy on a programmable machine. I used to visit websites to find digitized designs for purchase or for free. Ann the Gran was one of the sites I visited on a daily basis. I would download any designs that appealed to me. 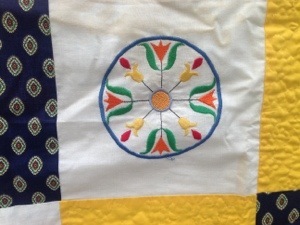 One of the design packs that she posted was that of various coordinating medallions. I envisioned them on a quilt. 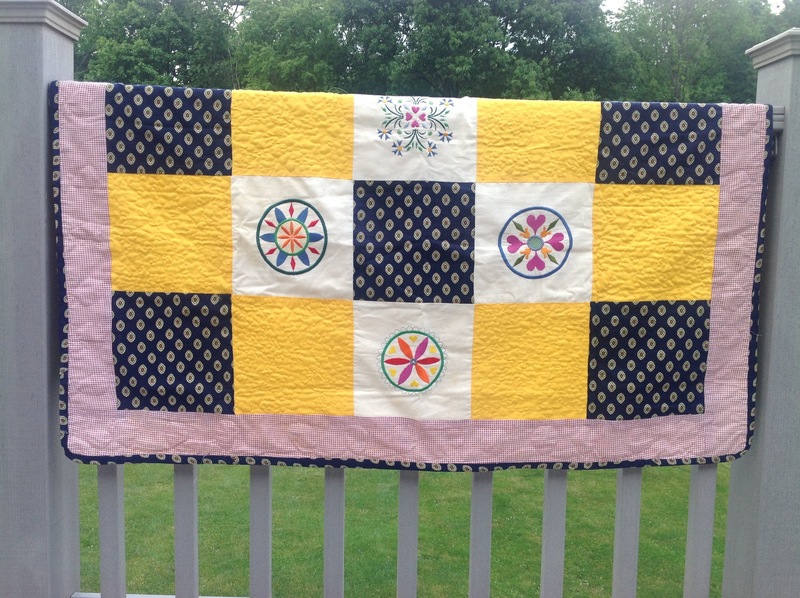 These days, raising kids and working full time, have left me with very little leisure time for quilting. 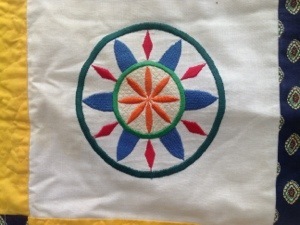 Using the embroidery machine can make short work of things. 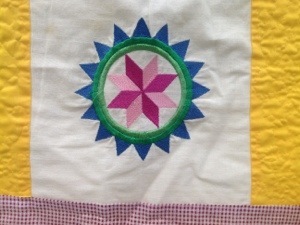 In this quilt, I used solid cotton squares to hold my embroidery designs then used a few pieces of fabric from my scraps pile to finish the quilt. Last year, because of the exciting advances that are now built into the newer machines, I bought a second sewing/embroidery machine. 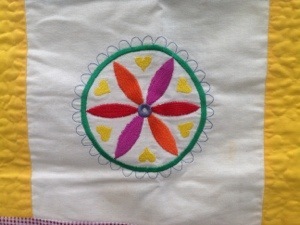 The embroidery/ sewing machines have made sewing and quilting a pure joy. They make my sewing skills look pretty awesome with a simple push of a button. Thanks, Samantha…glad you like it!